It was a rather grim day as we left Portiscale at the end of our holiday, but rather than drive straight home we decided to extent our break stopping off at Blackwell to take a look at the latest exhibition showing there and then driving down to Cartmel. I’d been there during a recent walk, but wanted to have a proper look around. 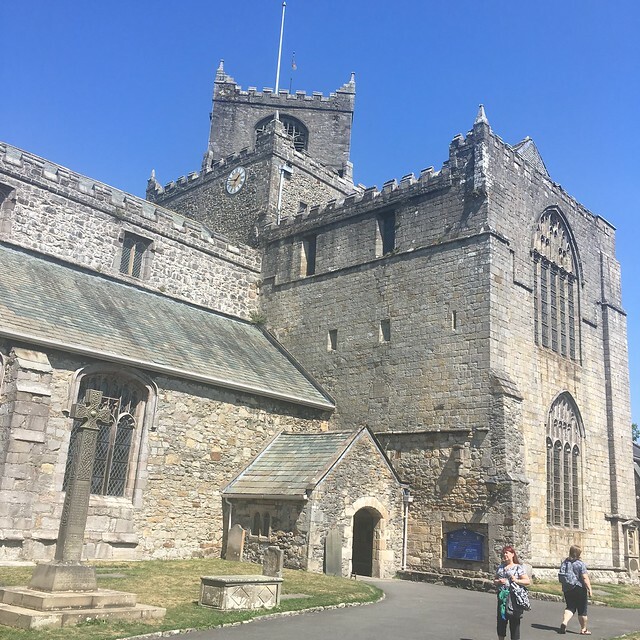 Cartmel is a small, attractive village on the Furness peninsula which is something of a “honeypot” with a number of touristy shops (although good quality ones) a Michelin 2 star restaurant, three pubs and is also renowned for sticky toffee pudding. Despite the weather, it was very busy with visitors. We parked up at the Racecourse and made our way towards the centre of the village. 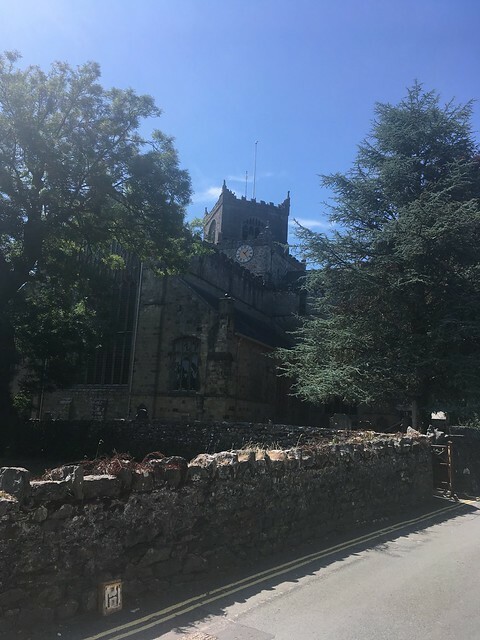 We wanted to take a look around the old Priory church which dominates the village which was originally part of a monastery. 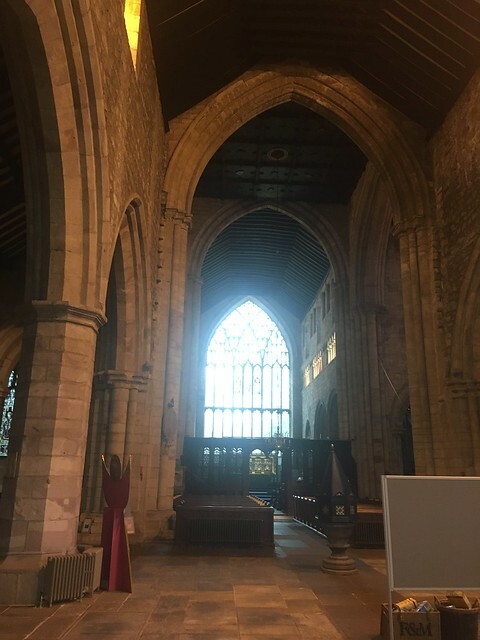 Like many old churches it evolved over many years and although mainly Gothic in style there are some Norman / Romanesque features. The tower is particularly interesting – the top half having been constructed diagonally across the original tower. There’s not another one like this in the UK. 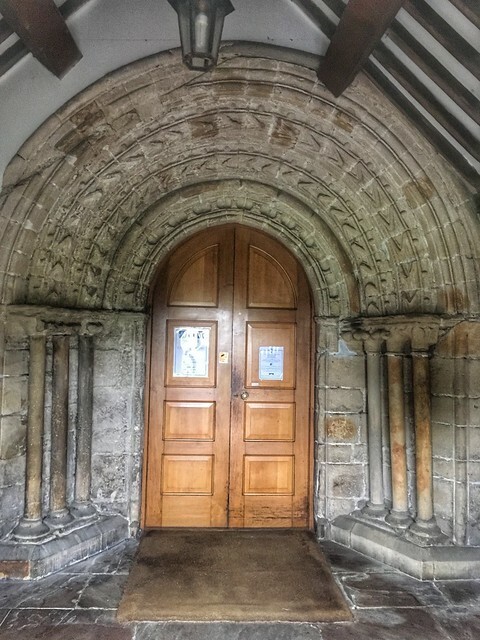 The priory was founded in 1190 with extensive work curing the next couple of centuries. 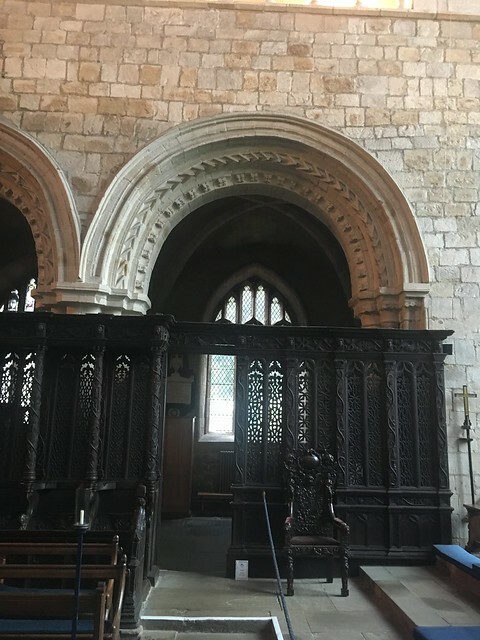 The oldest parts of the building are the chancel, transepts, the south doorway, and part of the north wall of the nave. 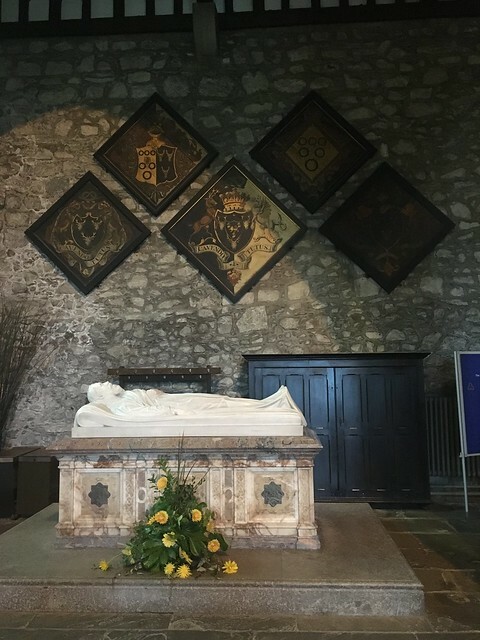 After the Dissolution of the Monasteries in 1536 the church survived as it was used as the village Parish church. Little else of the monastery remains other than the gatehouse in the village square which is now owned by the National Trust. 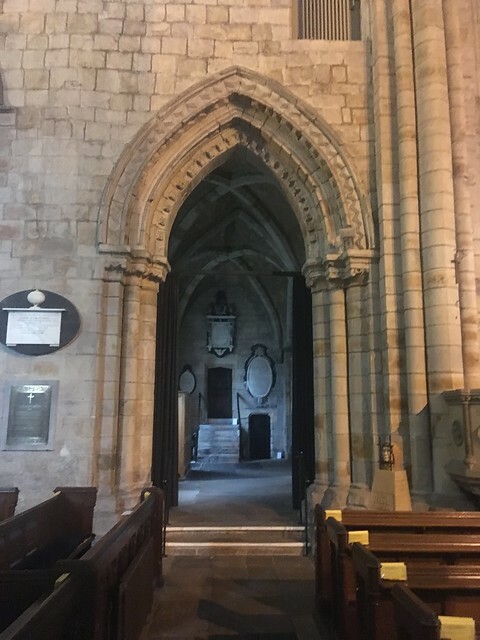 The semi-circular arch with its decorations is very typical of Norman/Romanesque architecture. 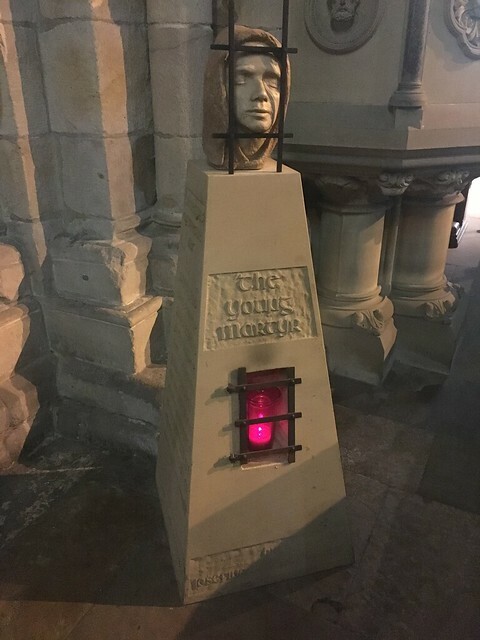 A monument to the “Cartmel martyrs” who resisted the destruction of the church during the Dissolution of the monasteries. 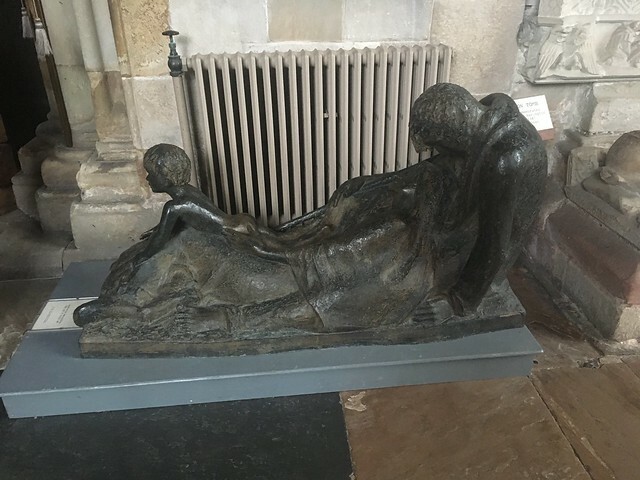 Monuments by the sculptor Josefina de Vasconcellos, an English sculptor with a Brazilian father and British mother, who lived in Cumbria much of her working life. 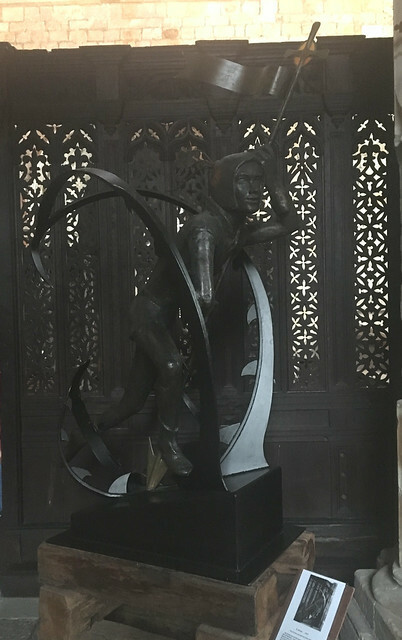 The Cavendish memorial. 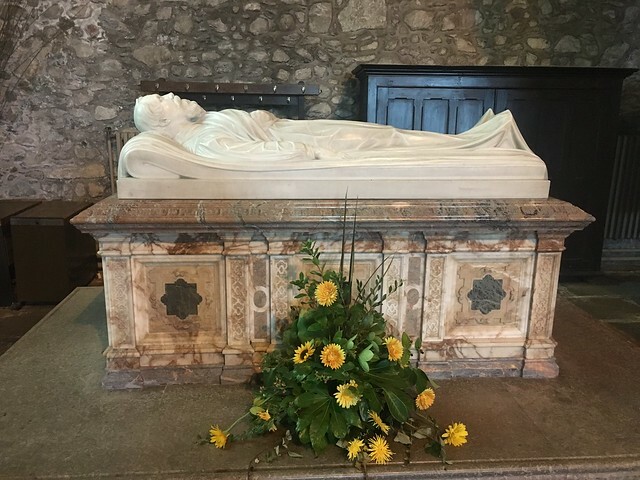 The tomb of Lord Frederick Cavendish, son of the 7th Duke of Devonshire, who was Chief Secretary to Ireland in Gladstone’s government, and who was assassinated by Fenians in Phoenix Park in Dublin in 1882. The Cavendishes, a branch of the Duke of Devonshire’s family, are the local big wigs. Nearby Holker Hall is their ancestral home and they own property around Cartmel including the racecourse. 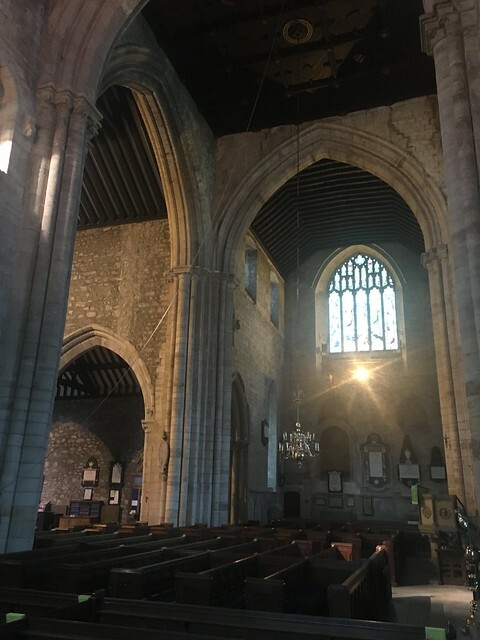 Browsing on the web after the visit, I came across this interesting clip on the BBC website where Nicholas Pevsner visits the Priory and discusses its architecture. 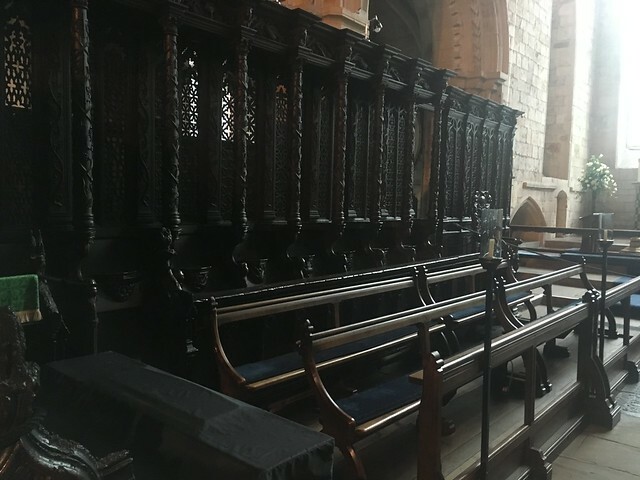 This entry was posted in Architecture, Holiday, Travel and tagged Architecture, Cartmel, Cartmel Priory, Church, Gothic architecture, Norman architecture, Romanesque architecture by ms6282. Bookmark the permalink. A very unusual-looking church. I love it. The font seems very interesting, too. I have heart about this village I need to visit it now. I haven’t been here since I was a child. We stayed in Grange-over-Sands a couple of times, and once the car broke down in Cartmel and had to be towed back to Grange. I thought this was quite exciting but my dad wasn’t too pleased. I sympathise with your father!! Oh you would beat me there! I though the church tower would have been a nice surprise but you’d already seen it. It is very interesting though, isn’t it? 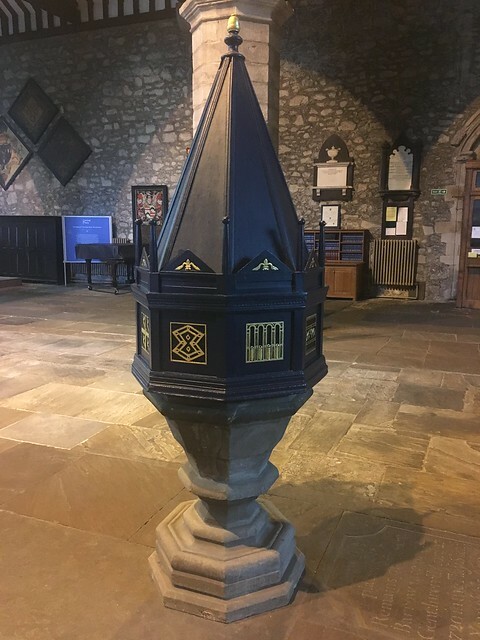 I’m pretty sure I have to be in Cartmel next weekend, a Taxi Dad thing, so I should have a perfect opportunity to have a poke around – thanks fro the reminder! Looked up how much it was to stay at L’Eclume. Special offer £500 for a couple for one night ! Did include an evening meal though. Think I’ll be giving that a miss. But there are a number of cottages for hire in and around Cartmel and we might consider a long weekend there sometime. I have a very good friend how gets taken there every year for a works night out – all expenses paid. Apparently it’s very good. It would have to be at £500 a night. Have you seen the episode of the Visit with Steve Coogan and Rob Brydon where they had a taster menu there? I haven’t seen The Visit at all, which since I like both of the leads, is probably a bit daft. This is a very small team, but I gather that the drinks bill is eye-watering! My team is very small. But they’d better not get any ideas!! I won’t tell them if you don’t! Glad I was able to let you see the inside 😊 Usually the other way round ! !